The Apple vs. Android battle doesn’t seem to end as iPhone has struck again with iOS5 and the universally coveted iPhone 4S. Android, however, is not bogged down by this announcement as it has bigger things to focus on because Google has already been selling its iPhone-killers to customers worldwide. This phone, known as Samsung Galaxy S II (S2), comes with almost the same amount of features that Apple’s new device provides. When compared head to head, the Samsung Galaxy S2 beats the iPhone 4s on 6 different grounds. In case you’re having trouble choosing between the droid and the iPhone, read on as we pit S2 against the 4S and tell you why the latter is no match to this new sensation in town. The iPhone 4S still sports a 3.5 inch Retina display, which, when compared to the 4.3 inch screen on S2, feels quite small. Also, the Samsung Galaxy S II comes with the new Super AMOLED Plus screen, which is an upgrade from the Super AMOLED display that its predecessor, the Galaxy S1 used to sport. Now, there’s a big debate as to which technology is the best, as both Super AMOLED Plus and Retina, are the finest displays around with features that are almost equal. While Samsung’s AMOLED Plus gives sharper contrasts and better colors, Retina is the best when it comes to pixel density and resolution. So, in short, whichever of the two phones you buy, you won’t be disappointed. Finally, when it comes to choosing between the two, we’d recommend you to go for the Galaxy S2, simply because it sports a bigger screen. Other advantage that S2 gives over iPhone 4S is that it comes with the extra durable Gorilla Glass protection that would make sure your phone’s screen looks brand new even after using it for years. Again, the iPhone 4S matches up pretty well to the Galaxy S2 with its 8 Megapixel back camera. However, iPhone’s VGA camera at the front ensures that Galaxy S2 stays ahead in the race. Samsung, it seems, has made sure that there are no rough edges in this phone. There’s a fantastic 8MP camera at the back and a 2MP one on the front. This makes Galaxy S II one of the best phones for video chatting and Skyping. Had Apple included a 2MP camera on the front, it would have made a great competitor for the droid. The iPhone 4S, despite having a smaller screen, weighs about 140 grams. The Galaxy S2 on the other hand, weighs only 116 g, making it very easy to carry around. There a lot of users who would opt for a lighter phone thus putting Galaxy S2 further ahead in the race. The Galaxy S2 comes with a MicroSD slot, allowing users to upgrade their storage anytime. So, the 16 GB model can be upgraded up to 48 GB without having to change the phone. Apple’s iPhone 4S however, comes in 3 models, 16 GB, 32 GB and 64 GB that too without any MicroSD slot. Hence, if an iPhone user has to upgrade their device’s storage, he/she will have to buy a new iPhone. On AT&T in the USA, iPhone 4S and Galaxy S2 both cost $199 for 16 GB models. 32GB and 64GB models of iPhone 4S are priced higher. Again, Samsung has the upper hand here as a 16 GB Galaxy S2 can be upgraded to 48 GB later if needed; thus, saving a lot of money. iPhone 4S brings the ability to use the phone without a computer, thanks to the new wireless sync feature in iOS5. Though it sounds, looks and works great, almost all things about the phone are tied to the iTunes Store. To sync your songs, movies, and apps, you can only use iTunes making it frustrating for many users. Android, on the other hand, will let you use your phone any way you want, which also makes it work great with Linux. Though the iPhone 4S has managed to wow most of the crowd, Samsung Galaxy S II still proves to be a better choice for the consumer. Also, one shouldn’t forget the fact that S2 was released months before iPhone 4S launched. So, if you’re all ready to buy the phone, make sure you check out our earlier article where we’ve outlined some important things you should consider before buying your first Android phone. I think for most people a 4.3" is way to big to use comfortably and the resolution on the S2 (480x800) is almost 2 years old, I definitely prefer the iphone4/4S display and size over the S2. Also you cannot compare the build quality between the two. Samsung build quality is superb. 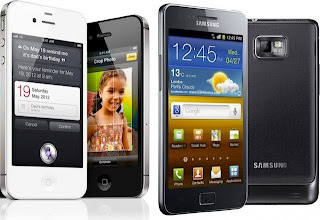 Once compare drop test, Iphone 4s is crack every where while Galaxy S2 is no crack at all. The gorilla glass is perform really well which no scratch even drop face down test. You can find the test in the youtube & believe it! No, 4'3" is not too big, though it may sound gigantic on paper. The big screen makes internet browsing very convenient, and makes watching videos quite the experience. The phone is also very light and thin, so it's very comfortable to carry around in one's pocket. In fact, the "huge" Galaxy S2 is the most comfortable phone I've ever owned in terms of carrying around. Build quality? What do you mean by that? Sure, the iPhone's glass build may look nice to some, but functionally, it's not very good. It almost requires the use of a case (which negates the phone's good looks), and makes for a very brittle phone. The Galaxy S2, on the other hand, is very light and durable due to its plastic build. I've dropped my uncased Galaxy S2 about 10 times with no consequences. If I had an iPhone 4 or 4S, I would be looking at cracked screens and backs. So please clarify what you mean by "build quality"? Are you referring to aesthetics or function? Would a a gold-plated glass-encrusted phone that weighed 10 pounds and shattered easily be of "superior build quality"?